The blanket order program was developed to assist customers that have a storage issue, help reduce customers inventory/cost levels, reduce customer lead-times and obtain a lower price through volume procurement. Please contact a Diamond Sales Representative to discuss this in further detail. Download Blanket Order Agreement. Various lubricants are necessary due to the high heat generated during the perforating process. The lubricants also protect various metals from corrosion. Unless otherwise specified, all material is shipped with perforating lubricants. For customers that require a degreased part Diamond offers post-perforating degreasing for a nominal charge. Consult your sales representative for more information. 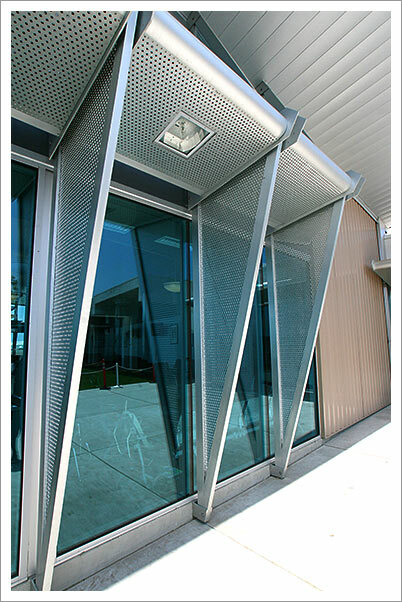 Some applications of perforated metal are highly cosmetic and may require that the surface be scratch-free. If this is the case, Diamond offers a PVC coating process that will protect the surface of the material. Diamond has a full service shearing operation than can make your finished product to your specified size. Diamond also has 100’s of stock sized sheets on the shelf that can be sheared to your specifications. Diamond has an extensive tooling capability to put complex notches in your material. Bolt holes can be placed anywhere on your part.